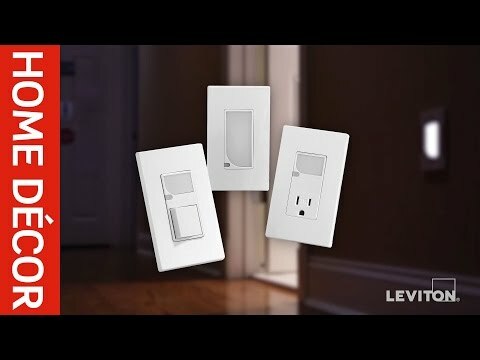 Leviton Decora® IllumaTech® 1-Pole 3-Way Electro-mechanical fluorescent slide dimmer has voltage rating of 120-Volt AC at 60-Hz. 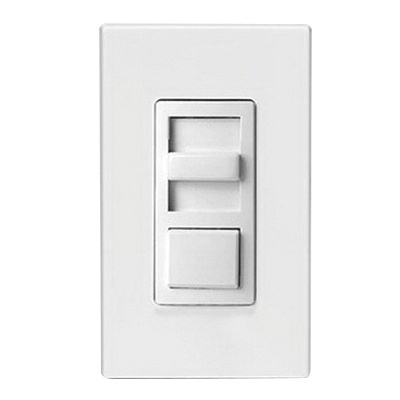 Dimmer in white/ivory/light almond color, has preset push button switch with slide, for controlling the brightness of the light. It has built-in radio/TV interference filter. The fluid slide movement of this dimmer allows fine adjustment of light level with minimum effort. It has maximum load capacity of 1000 VA. It measures 2.12-Inch x 1.41-Inch x 4.15-Inch. Dimmer operates at temperature range of 0 to 40 deg C. Fluorescent slide dimmer is UL listed, CSA/NOM certified and NAFTA compliant.